Life can change in an instant. On November 15, 2015, our son Simon was in a car accident that left him paralyzed from the chest down. Before the accident, Simon had everything going for him. He was an educated hard worker with a job he loved. He traveled all over as an engineer in the oil field. He was an outdoorsman with a passion for family and life. He was excited about facilitating the construction of a new house for both himself and his beautiful fiancé, Sarah. Then, Simon was an occupant in a truck that rolled over multiple times. The impact was so severe that the truck was practically unrecognizable. resuscitated three times during his life flight to the hospital and his odds of survival were dire. The accident tragically claimed the life of his fiancé, Sarah, and confined Simon to a wheelchair. He wouldn’t find this out until six weeks later, when he was taken off life support. 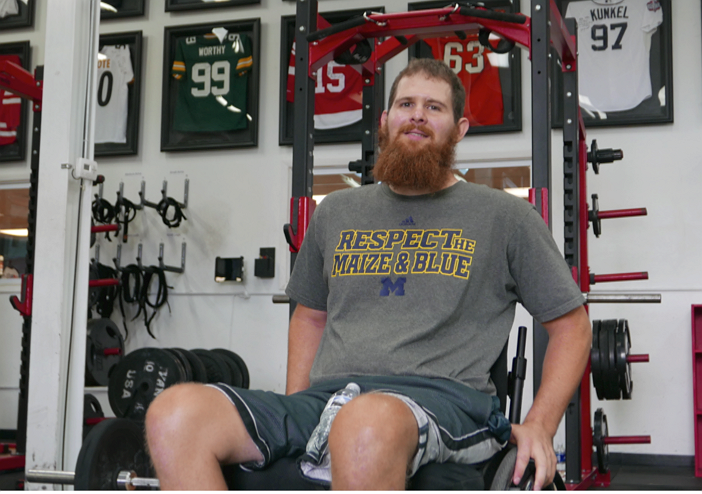 Along with collapsed lungs, broken neck, back, shoulder, and femur (in two places), and multiple rib fractures, he awoke to the reality of his situation and the numerous challenges that lay ahead. Without a negative thought, he moves forward pursuing 100% recovery and independence. Recovering from a spinal cord injury is not easy; it takes strong commitment, patience, and money since insurance coverage is very limited. In addition to conventional therapy, Simon is engaging alternative therapies with vigor and he continues to make steady progress; He is now inspiring so many people seeking perspective in their own lives and recoveries.